Those pesky white flakes that dot your head and fall to the shoulders when disturbed can cause embarrassment and be very annoying. Dandruff is a common problem linked to the skin of your scalp as opposed to your hair strands. Thankfully, it is not a serious health condition and there are home remedies for dandruff. Let’s take a closer look at what causes dandruff. Please note that having dandruff does not imply you have dirty hair or poor hygiene. It is simply the dead skin cells of your scalp as the result of dry or oily scalp, a bacterial or fungal infection, or an existing skin condition. Many of us have a fungus called malassezia living on our scalp with no symptoms such as flaking of the skin. This fungus may cause a reaction in some people and result in dandruff. There are other factors that contribute to dandruff causes. Those with yeast sensitivities have a higher risk of experiencing dandruff on a regular basis. As it seems to be less frequent in the summer, it is believed the ultraviolet light of the sun combats the yeast. Skin conditions that become worse in the winter months can be contributed to exposure to heat and cold temperatures from the inside and outside environments. This can also be linked to possible dry skin. The fluctuating temperatures of being inside and outside during the dry air of the winter months can cause the skin on your scalp to become extremely dry. You may also have dandruff if the skin on your body is dry due to a skin condition, or by not getting enough fluids and becoming dehydrated. The skin condition seborrheic dermatitis can affect the scalp, as well as the ears, nose, brows, and chest. With similar symptoms as psoriasis and eczema, seborrheic dermatitis is seen as oily and irritated skin, and it is not caused by an allergy or having poor hygiene. Triggers are known to be stress, medications, yeast, and dry air. You may have dandruff if you suffer from Parkinson’s disease, heart disease, or a low-functioning immune system. 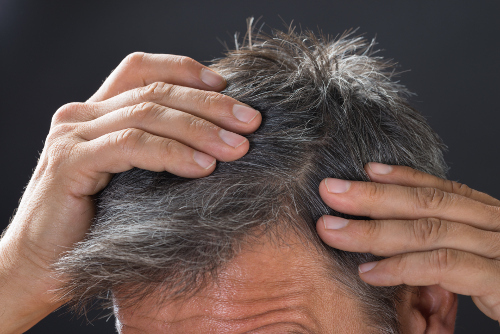 Many disorders have skin conditions such as seborrheic dermatitis as a symptom, leading to dandruff. Your dandruff may be caused by a reaction to an ingredient in your favorite hair care product. Harsh chemicals in some shampoos, conditioners, mousses, gels, and hair sprays can irritate the scalp. We need essential vitamins and minerals to maintain good overall health, and this directly relates to the conditioning of your scalp as well. Maintaining a regular diet of foods rich in zinc, some fats, and B vitamins will help keep dandruff controlled. The effects of mental and emotional stress can take a toll on the body and skin condition, which can lead to dry, flaky skin on the scalp. As dandruff is a mild symptom, it can easily be controlled and prevented with a few home remedies. Depending on the underlying cause of the flakes, you can use various dandruff home remedies. The following treatments may help lead to how to cure dandruff permanently. You can moisturize your scalp, stop itchiness, and get rid of dandruff with the antifungal components of pure coconut oil. 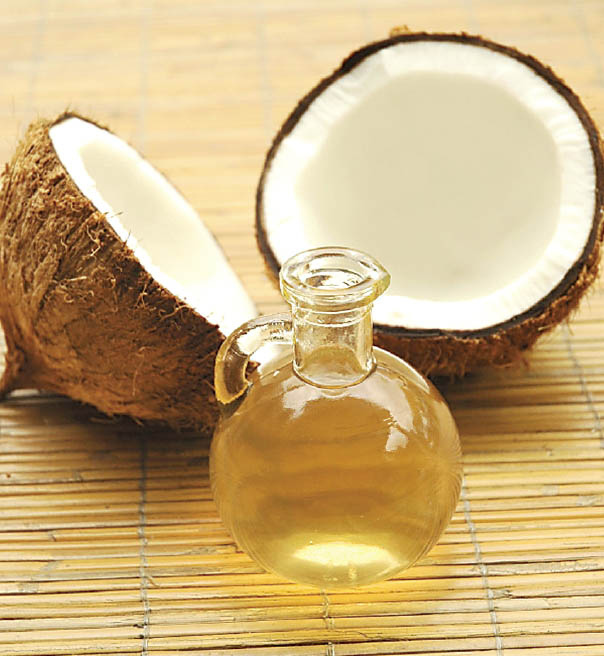 Mix equal amounts of coconut oil and lemon juice, and use it as a massaging oil for your scalp. Leave the mixture on for 20 minutes before washing. Use this solution two to three times per week. Treat your scalp to a cleansing with the powerful properties of apple cider vinegar. It will remove trapped dirt and oil in the pores and hair follicles, as it returns the scalp to a healthy pH balance. This is the best dandruff treatment for yeast issues. Combine two tablespoons of the vinegar with 15 to 20 drops of tea tree oil and water. Massage the mixture on the scalp for a few minutes before rinsing. Repeat two to three times each week. You can also use regular white vinegar in a solution of half a cup of vinegar with two cups of water as a rinse after shampooing. Remove dead skin and excess oil with the use of baking soda. It can also help combat fungus growth, since it restores regular pH levels. Apply baking soda to wet hair and rinse after a few minutes. Do not wash hair immediately afterwards. You can do this treatment twice a week, over a span of a few weeks for best results. For a natural skin moisturizer, use olive oil as a head treatment. Apply warm extra virgin olive oil to your scalp, and massage for a few minutes. Wrap your head with a towel for at least 45 minutes, or you can leave treatment on overnight. Wash your hair when ready. You can do this treatment a few times each week. Any scalp issues with a fungal infection can be treated with tea tree oil. It can easily be added to your favorite shampoo by balancing one drop of the oil to one ounce of shampoo used. You can also mix one tablespoon of olive or coconut oil with a few drops of the tea tree oil to create a solution to apply thoroughly on the hair. This can be washed out after 30 minutes, or after an overnight application. Repeat one to two times each week. Relive the itchiness of dandruff and treat any fungus infection with the fresh juice of a lemon. Combine a quarter cup of plain yogurt with the juice of half of a lemon, and leave it on the head for 20 minutes. Rinse and wash hair immediately after. You could treat your scalp to a massage of water and three teaspoons of lemon juice. After five minutes, rinse and wash hair. Either treatment can be done a few times per week. To avoid lightening of the hair from natural sunlight, avoid going outside for two hours after applying the treatment. In addition to these dandruff remedies, there are also several lifestyle changes you can make to reduce your risk of having dandruff. By reducing stress, you may be able to prevent the recurrence of dandruff. With oily hair strands and scalp, you can treat the problem with regular washing of your hair and scalp. This will remove excess oil which is linked to dandruff. Spend time outside under the sun rays to boost the health of your hair and scalp. Since ultraviolet rays can be harmful, limit your time and use sunscreen. Dandruff is a common occurrence many of us face from time to time. While it can be embarrassing, it is usually from a mild cause, and can easily be treated and possibly prevented. Despite the condition of our scalp and hair, dandruff is not present because of poor hygiene. As with all symptoms, we must focus on the underlying cause in order to treat the dandruff itself. So, now that you know what the causes of dandruff are, try some of the home remedies to deal with bouts of dandruff, and to prevent it from returning. “Dandruff,” Mayo Clinic, July 14, 2016; http://www.mayoclinic.org/diseases-conditions/dandruff/home/ovc-20215279, last accessed March 24, 2017. “Home Remedies for Dandruff,” Top 10 Home Remedies; http://www.top10homeremedies.com/home-remedies/home-remedies-for-dandruff.html, last accessed March 24, 2017.